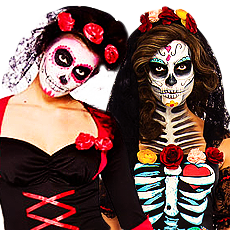 Every girl wants to look spooky and fabulous and our ladies costumes are great for any Halloween fancy dress party. Here at Mega Fancy Dress we have made choosing the perfect ladies Halloween costume an exciting journey with our easy to navigate Halloween categories. Browse through all of our ladies fancy dress costumes to let your imagination go wild with possibilities for the perfect Trick or Treating fancy dress, or if you have a theme in mind our Zombie, Witch, Vampire, Devil, Pumpkin, Horror Film and Fairytale costume categories will quickly guide you to our irresistible selection of ladies Halloween costumes. Here at Mega Fancy Dress we stock a spooky range of officially-licensed Horror Film costumes to let you recreate some of the most famous scary characters at the movies. 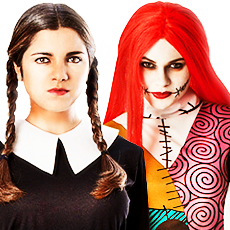 You can choose from Addams Family costumes, Ladies Edward Scissorhands, Miss Voorhees from Friday the 13th or Catwoman from the latest movie The Dark Knight Rises. 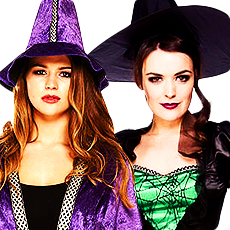 Dress to impress on October 31st with our fantastic range of ladies Halloween fancy dress.